Finding a Concord, NC auto body shop that you can depend on can be difficult, should you ever get involved in an accident or experience major hail damage requiring dent removal. There are many experts in the area that specialize in paintless dent removal. One of the leading experts in this field is Piedmont Dent Repair. The skilled technicians at our Concord, NC mobile dent repair shop can perform an assessment on the damage to your vehicle and provide an immediate quote for you. We want to deliver affordable costs on paintless dent removal. Working with a shop like ours is a great way to get your car back and on the road again much faster than you anticipated. The problem with many traditional types of hail and accident damage repair is that it can take time. You can be without your vehicle in the shop for several days or even a week. With paintless dent repair however, you could have your vehicle back within just a few hours. We can provide our fixes on site in Concord NC. Our staff will come out and assess the damage to your vehicle as well as provide local repairs if your vehicle qualifies. Paintless dent repair requires the area surrounding the dent to have it finished unimpeded. We can remove any minor scratches or problems with the finish while removing the dent. This method ensures that we don’t have to remove any of the body panels or repaint your vehicle, which can be costly and time-consuming. Choosing paintless dent removal in Concord North Carolina can ensure that your insurance premiums do not rise and that you can maintain the look and value of your vehicle. 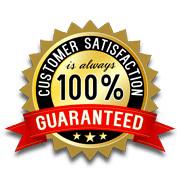 With the years of experience that our staff has, we can perform our services with 100% satisfaction guaranteed! Contact Piedmont Dent Repair today in Concord NC to discover our paintless technique. Our staff members can get your dent repaired quickly and at a site of your choosing!